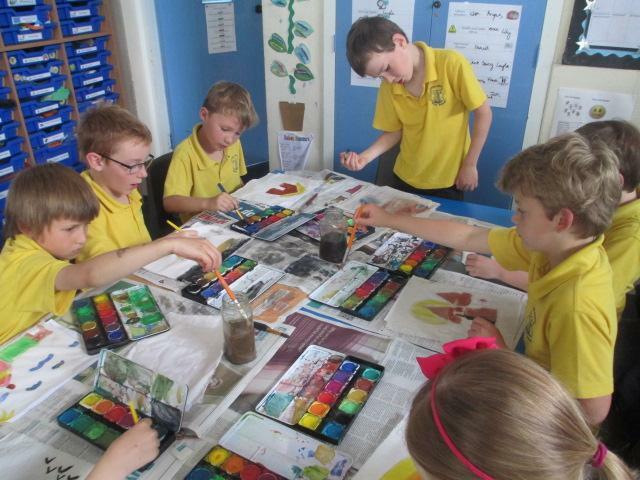 Wow, what an arts filled arts week this has been!! 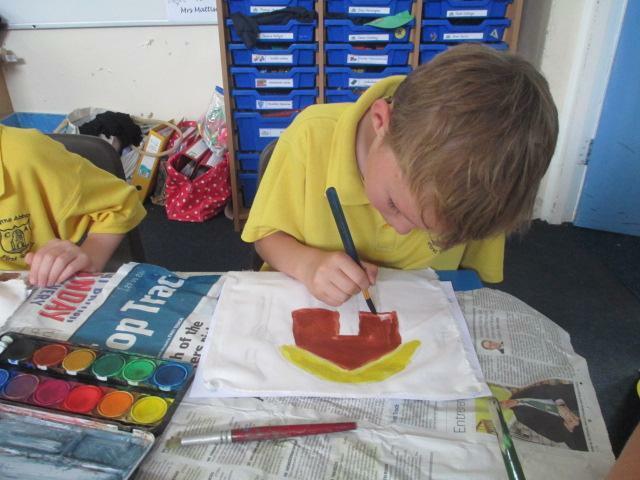 Our theme was global, so we looked at landscape around the world (and our own) and how different artists represented them,and then had a go ourselves. 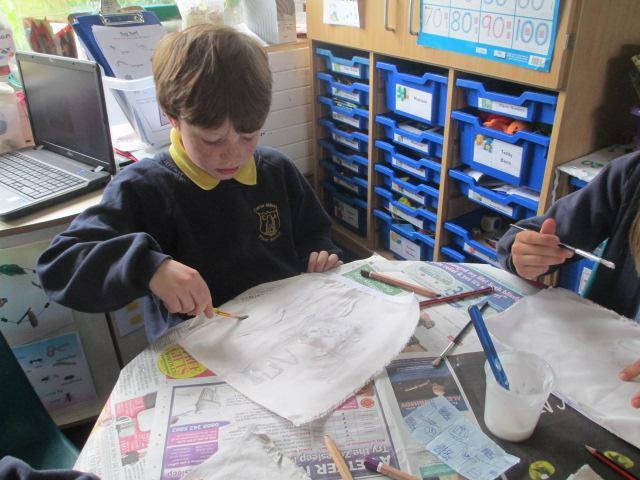 We started the week by researching different artists and writing a biography, discussing how we felt about their art work. 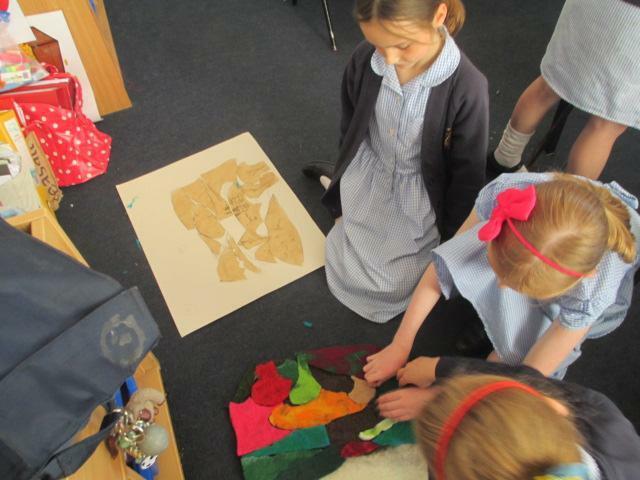 The artists the children researched included Andy Goldsworthy, Turner, Matisse, Rousseau, Constable, Van Gough, Monet and Seurat. 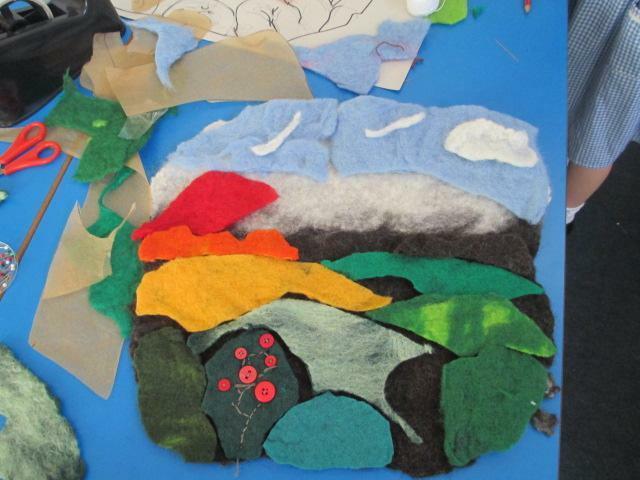 We then did what many of the great artists did or do, and went out with sketch pads, walked up into the hills and looked at and sketched our landscape focusing on shading. 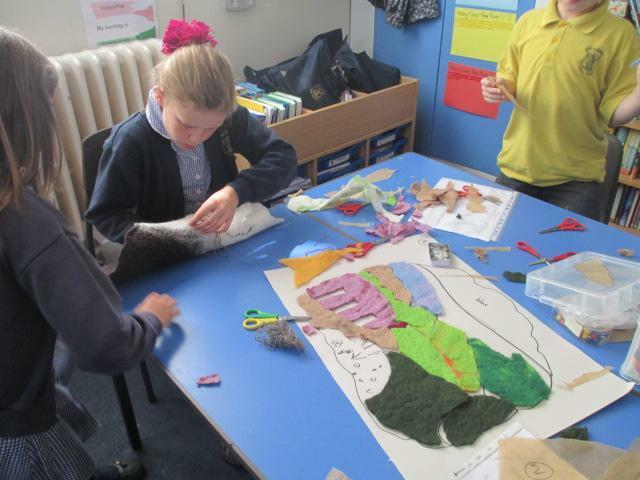 On Tuesday we looked at two large continents, Australian and African landscape. 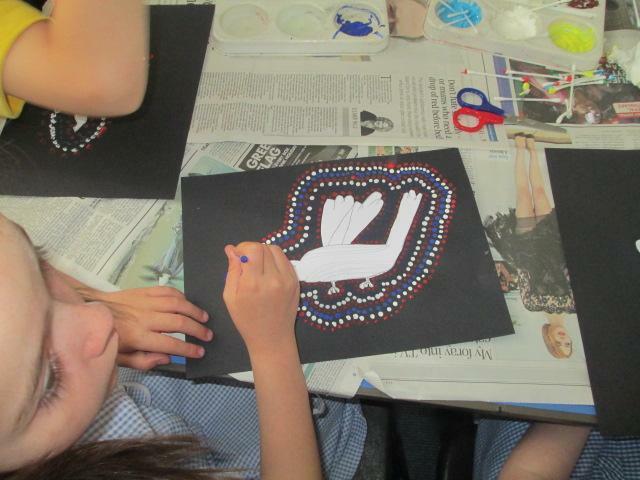 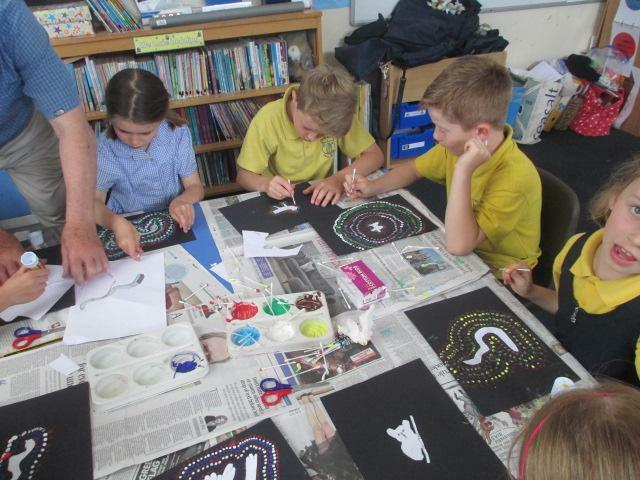 We learnt about Aboriginal art and batik from Ghana and then we made our own dot paintings, maps using Aboriginal symbols and batik. 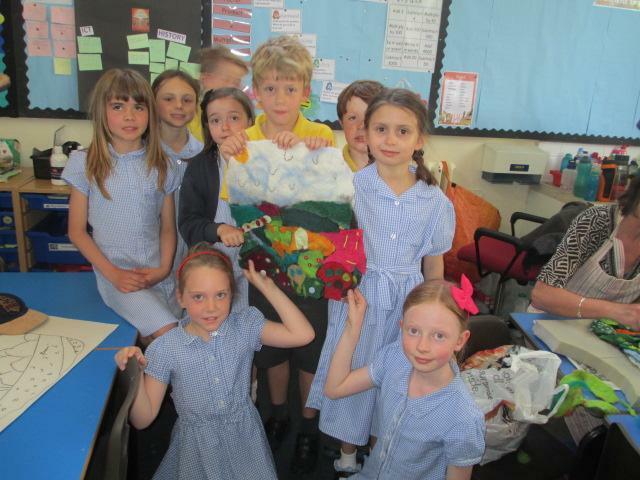 We particularly enjoyed the batik. 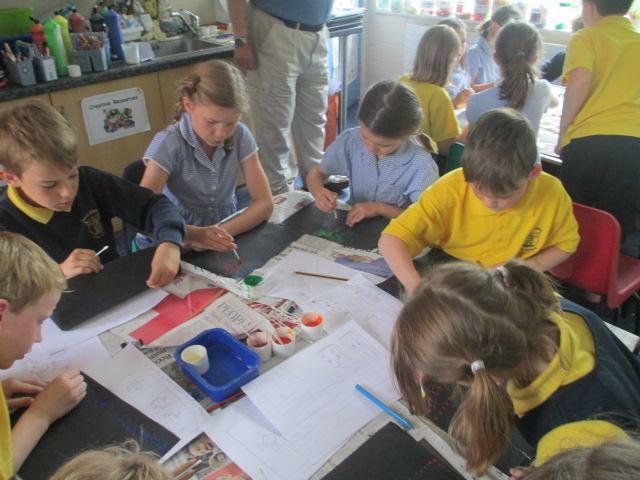 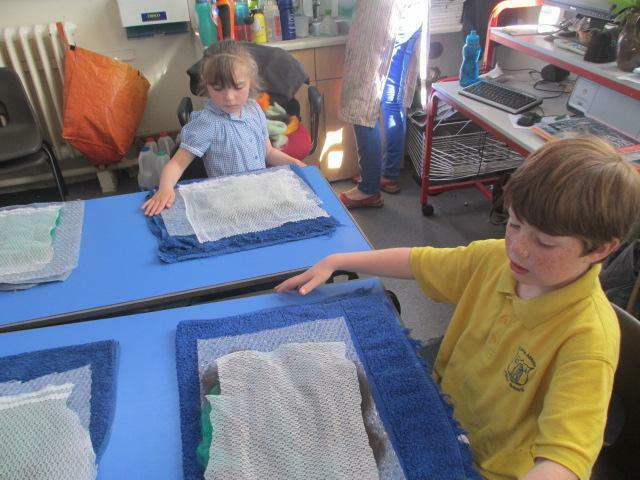 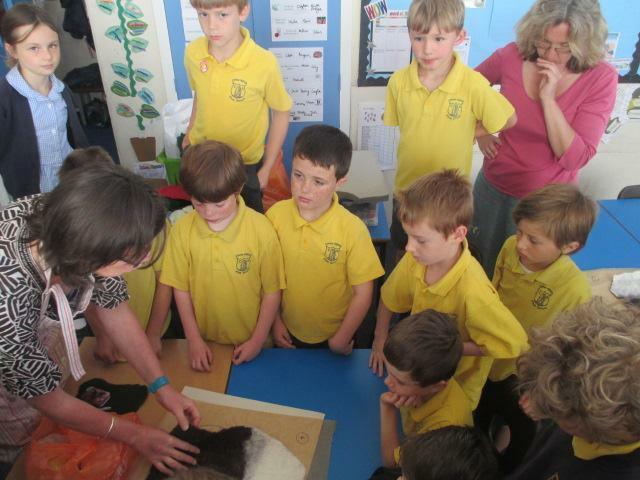 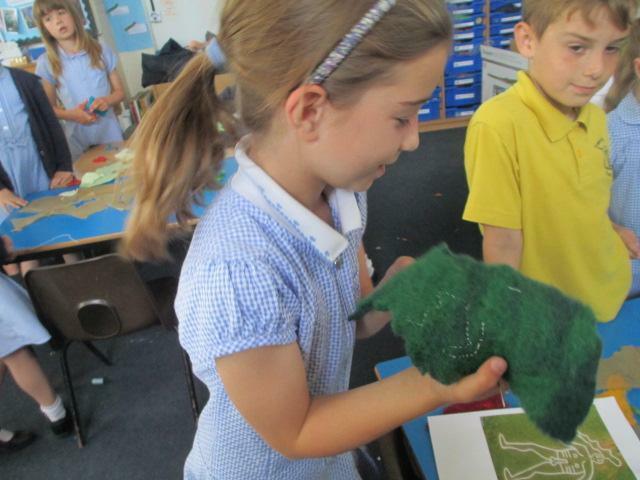 On Wednesday we had a local artist into the classroom that had been with Giant and Trendle class the day before making felt which they thoroughly enjoyed. 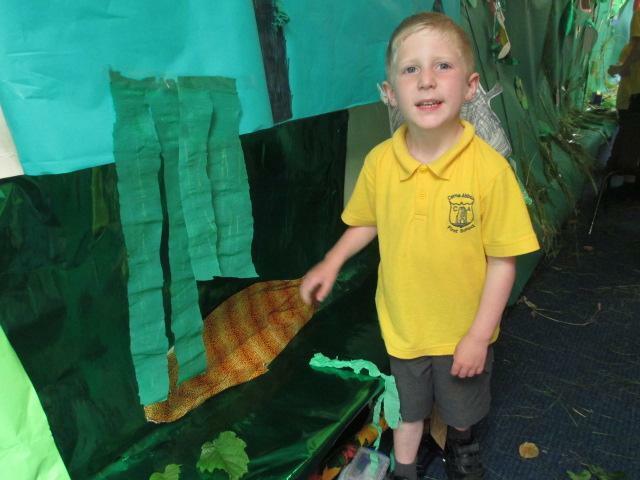 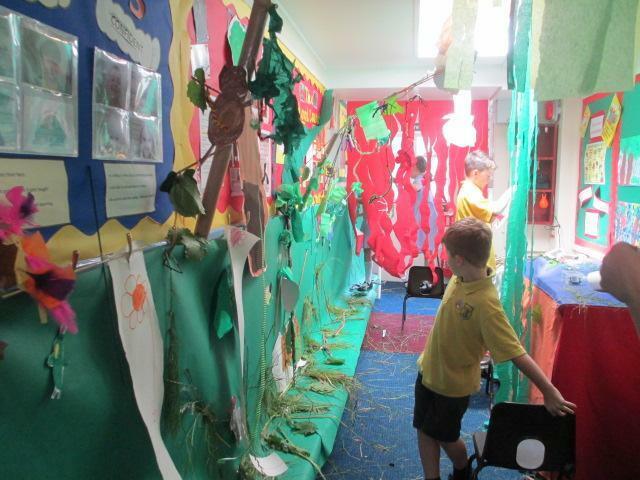 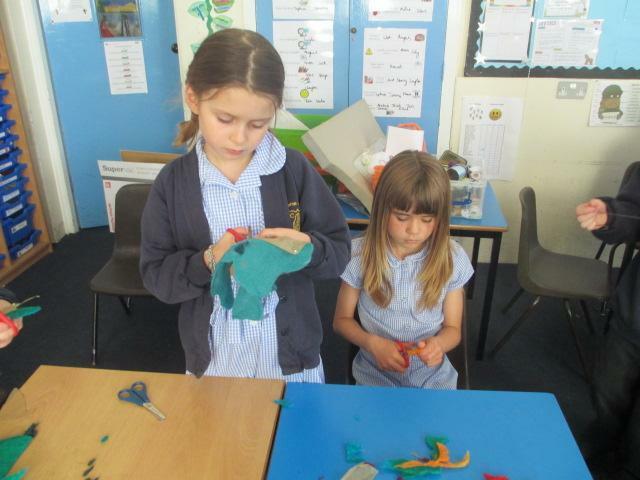 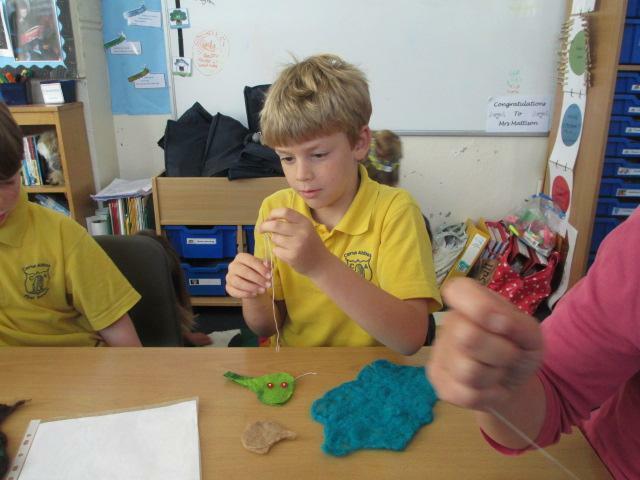 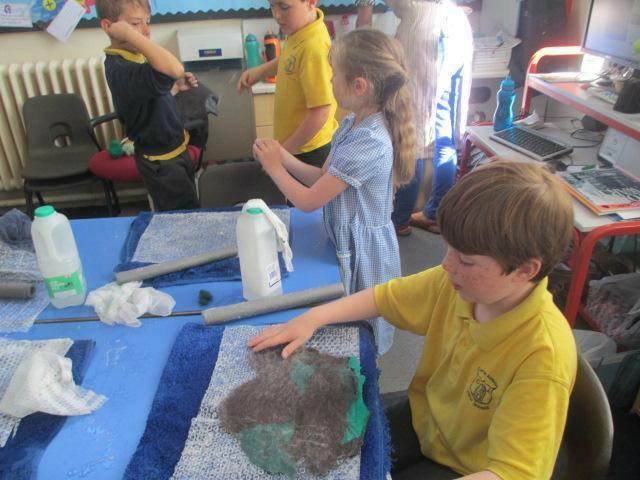 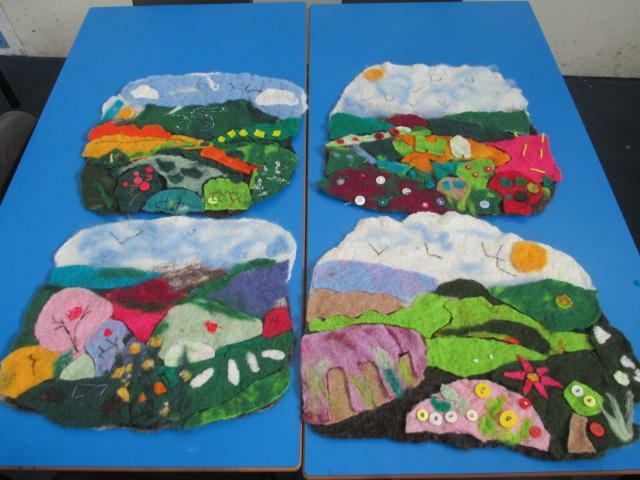 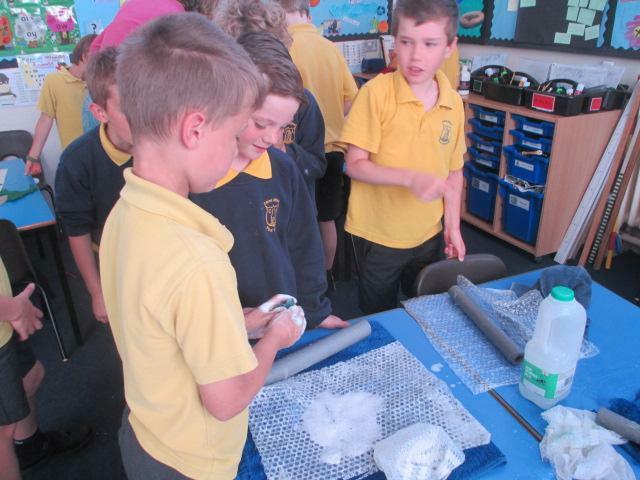 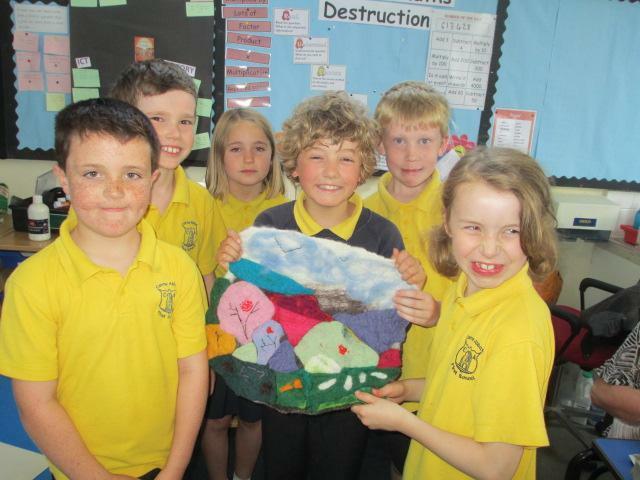 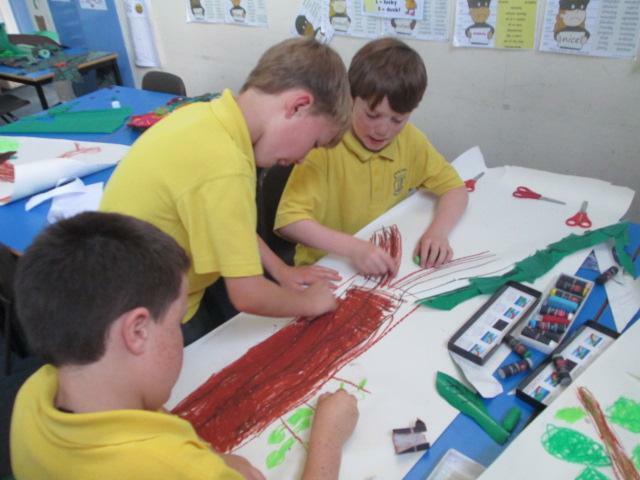 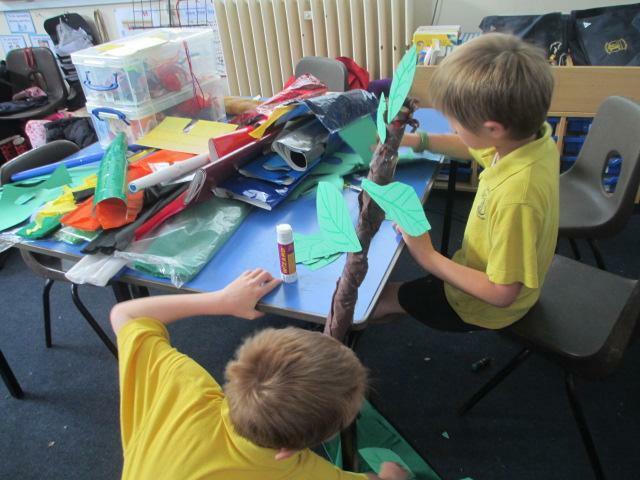 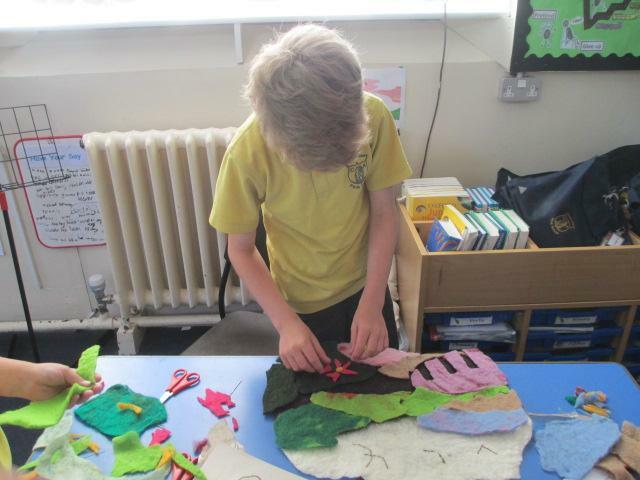 We then used the felt that the lower part of the school had made, and cut out pieces to make a landscape. 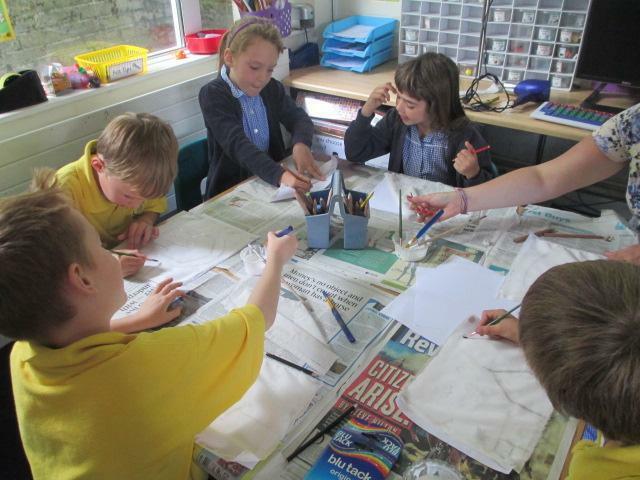 We made 4 landscapes inspired by Cerne Abbas and our sketches we drew on Monday. 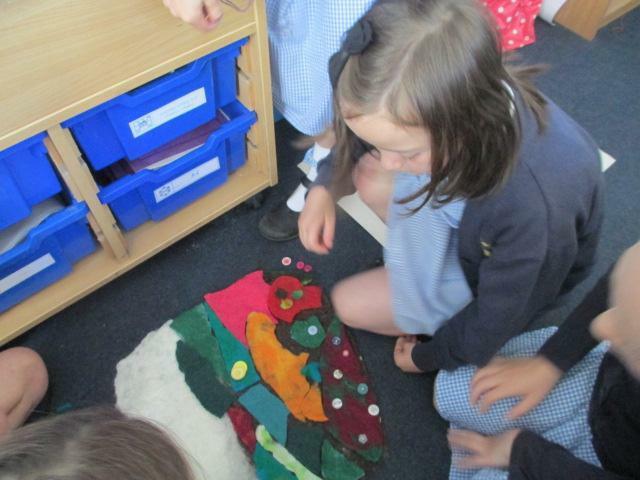 We then embroidered and added buttons and other details into them. 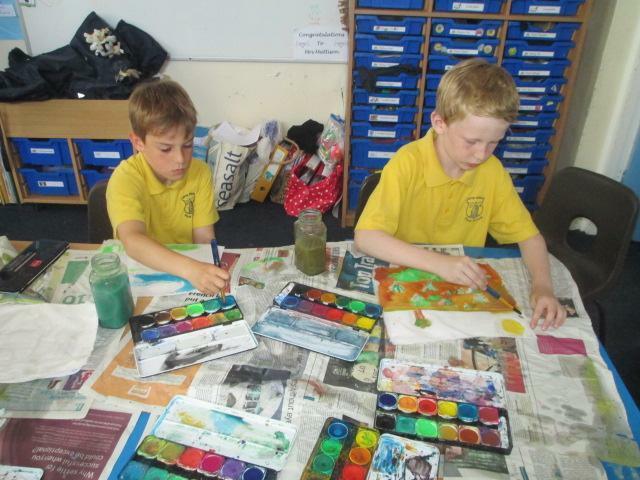 The children were so co-operative and conscientious, it was a brilliant atmosphere and the artist said how much she enjoyed learning with us. 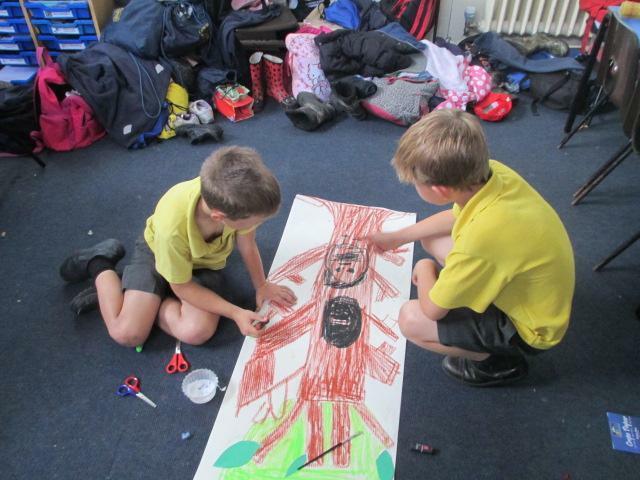 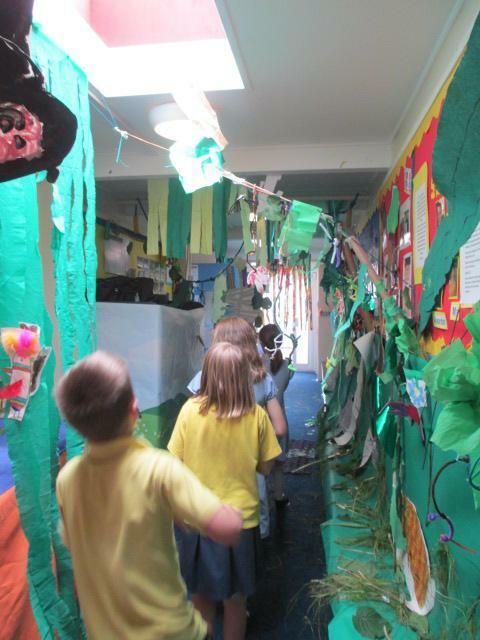 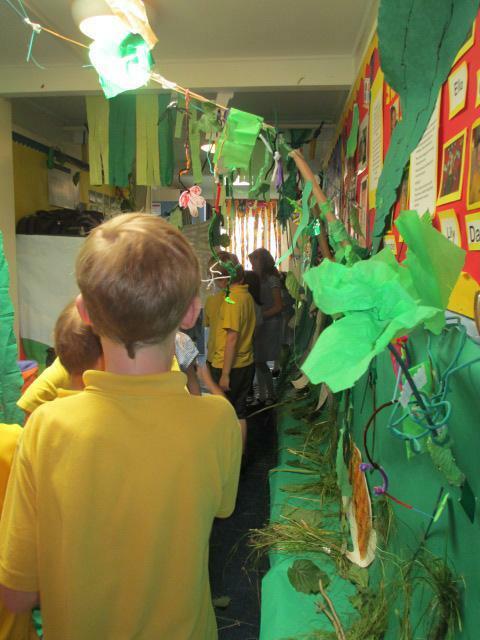 In the afternoon we looked at Rousseau’s jungle pictures and the jungle landscape and used this to inspire us to create an art instillation in our corridor. 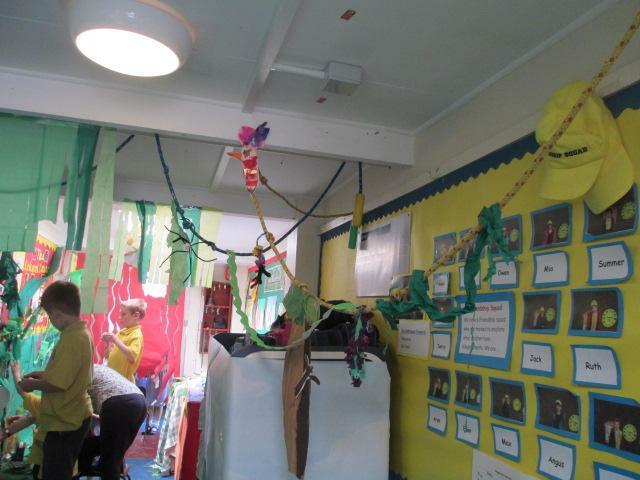 The whole school was part of it and we really, really enjoyed putting it all together with the other classes. 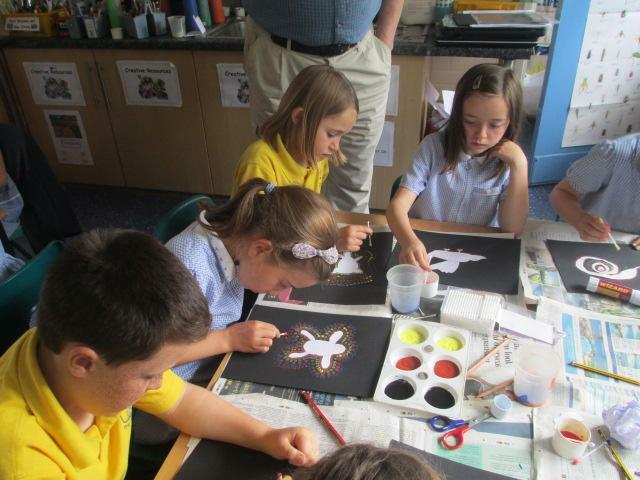 We then reflected on what we had learnt by experiencing it with our parents who were in awe at what we have achieved. 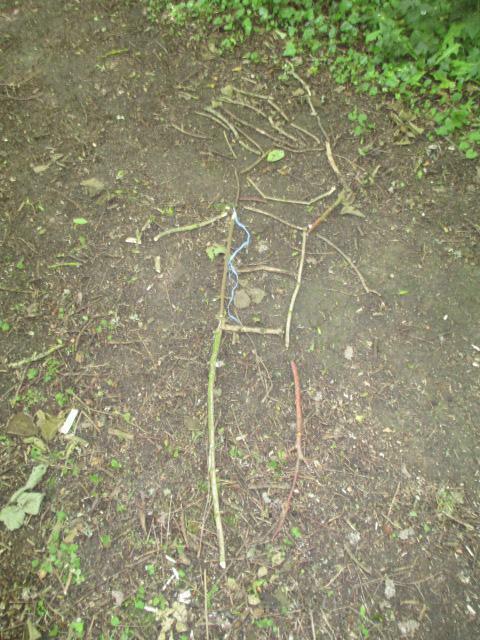 Sadly, like most art instillations, it is only temporary so come take a look before it goes. 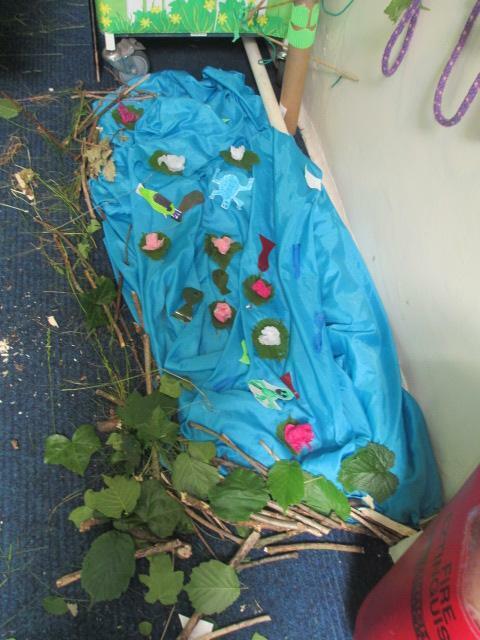 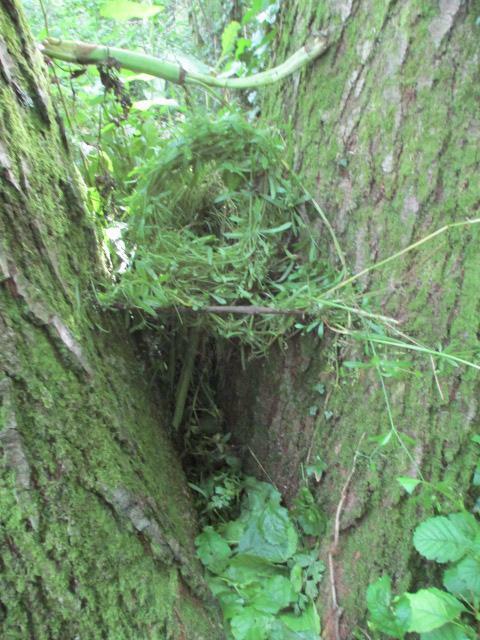 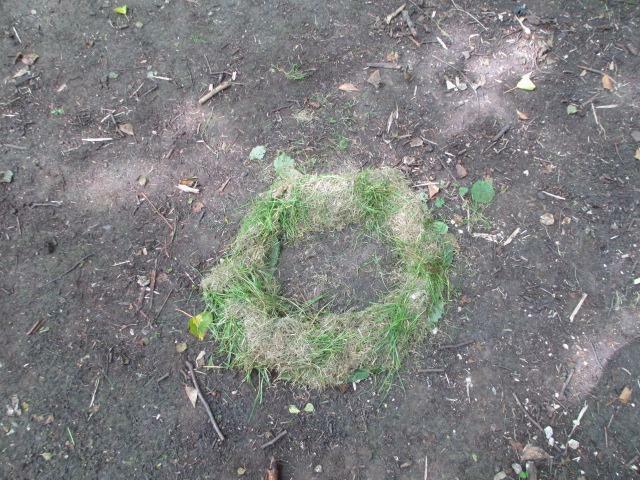 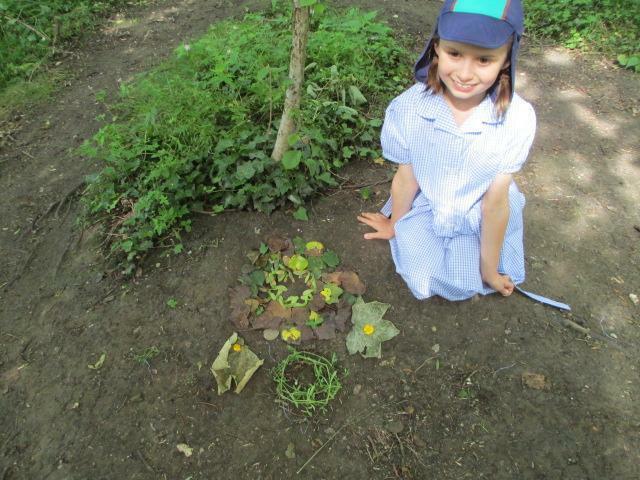 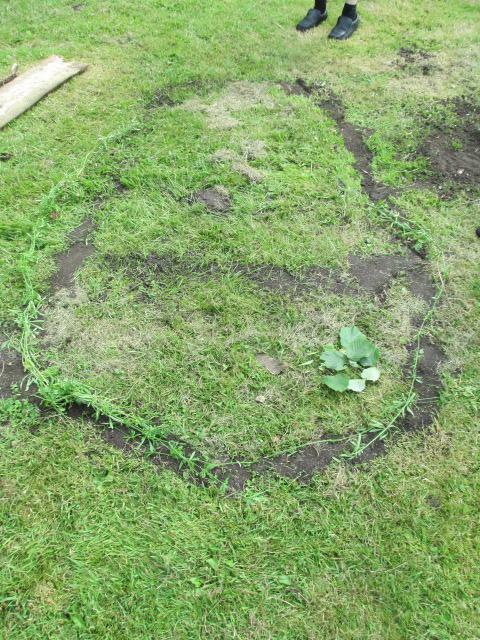 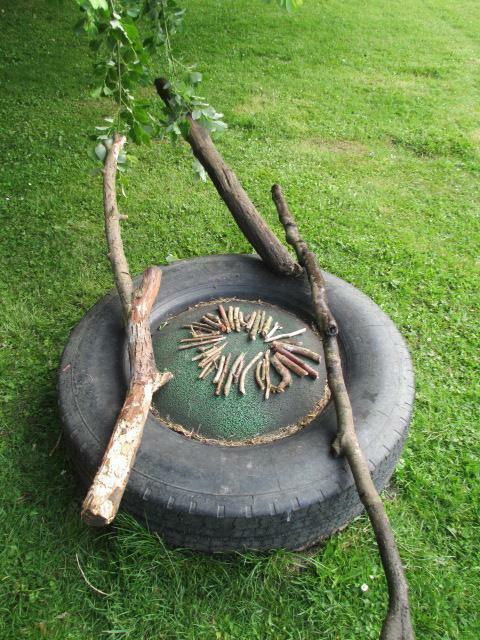 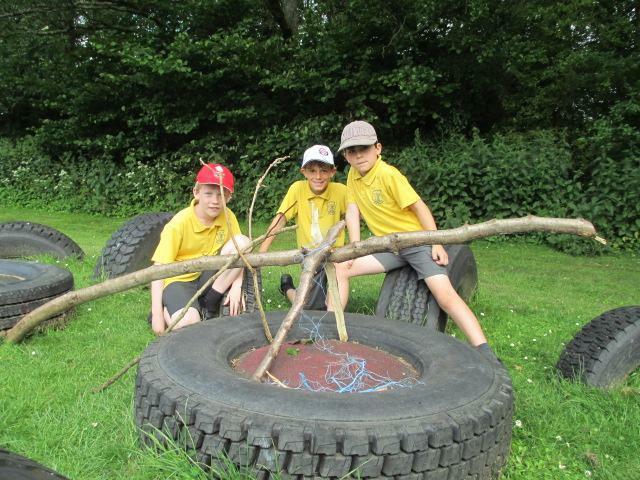 Today we looked at using our landscape and the things in it to create art. 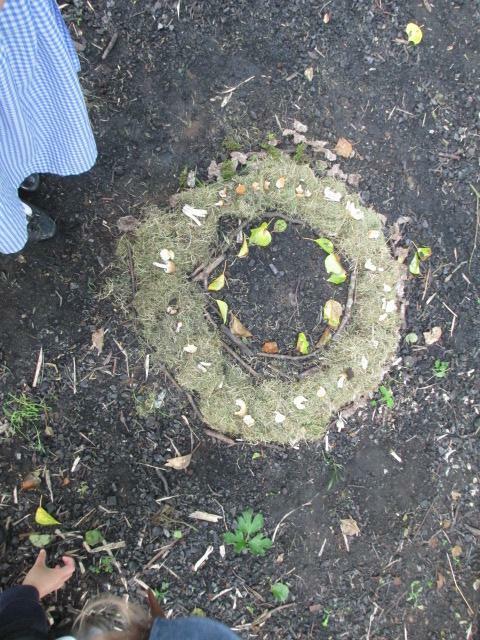 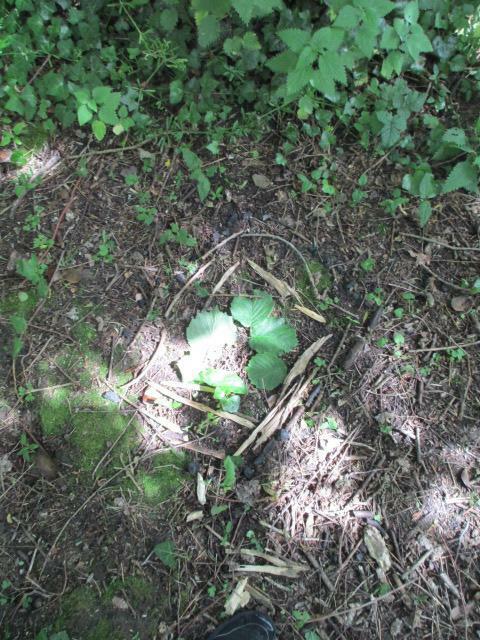 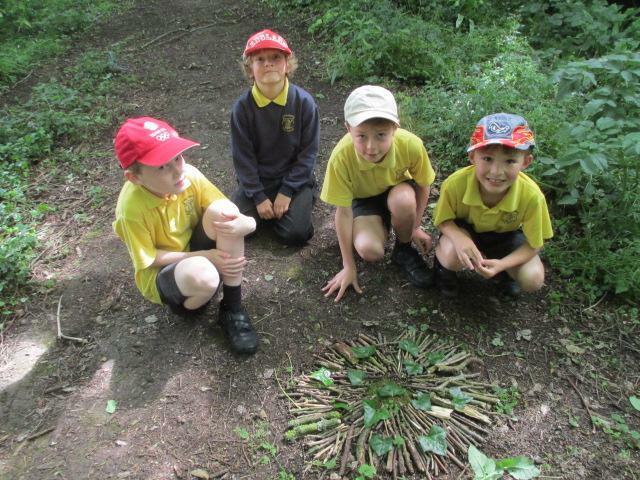 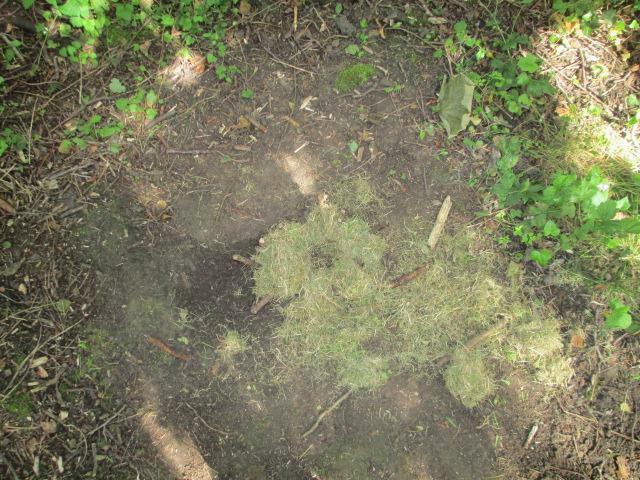 We researched and discussed Andy Goldsworthy, and were so inspired by what he created we created our own amazing environmental, temporary art, capturing it by camera just as he does. 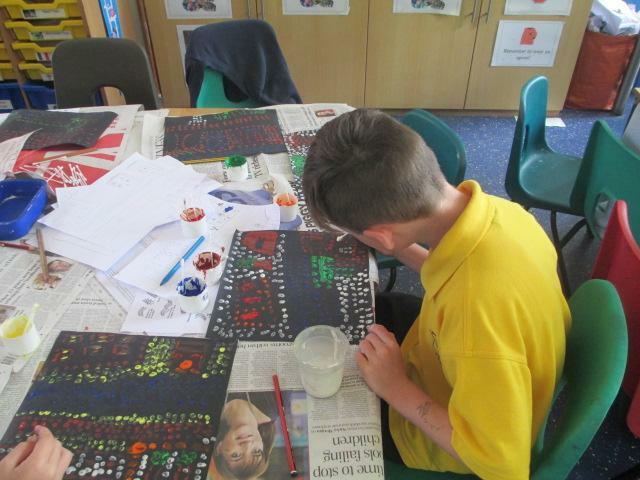 We also found out about Chinese and Japanese ink brush work and the symbolism of it and created our own Japanese style paintings.